Welcome to the pet portrait of Vinnie! Isn’t he gorgeous! I have added a scan along with a detail of the painting too so our readers can see him up close. The portrait was commissioned by a returning client Katherine for a special birthday celebration. As a result it was to be a complete surprise to the recipient. The portrait is a 12 x 10 oil painting on Italian Linen Canvas stretched on tulip hardwood. It was traditionally hand painted by Nicholas at his easel. 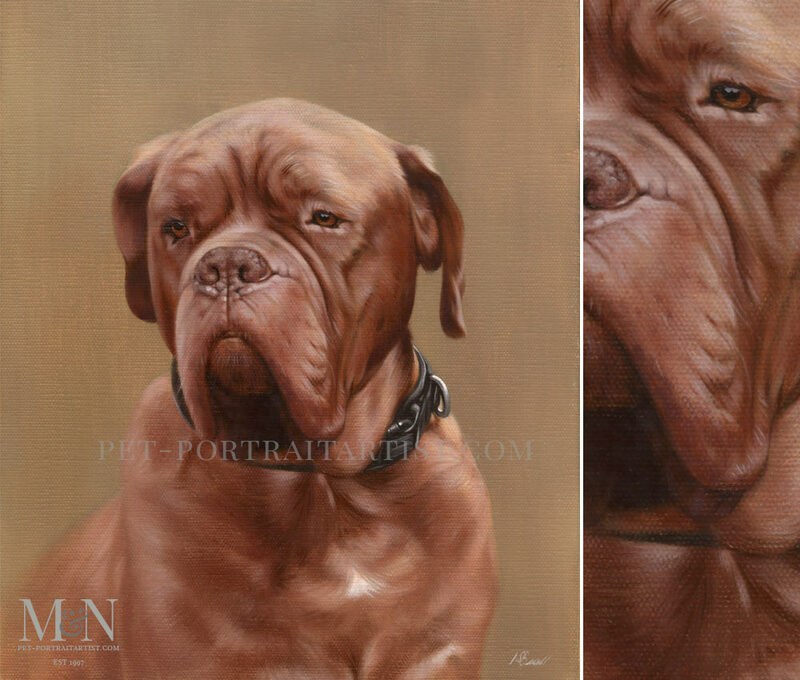 We recently heard that Vinnie sadly passed away in May and so this portrait will mean so much to the family. If you scroll down the page you will see photos of the portrait in progress, as well as a lovely email from Kath when they had received the painting.. I just wanted to let you know that the portrait has arrived and is unwrapped and airing. Vinnie looks fantastic! Nick has captured the noble soul that Vinnie was which is pretty special. It’s fantastic – thank you. I’m sure my sister-in-law is going to love it.